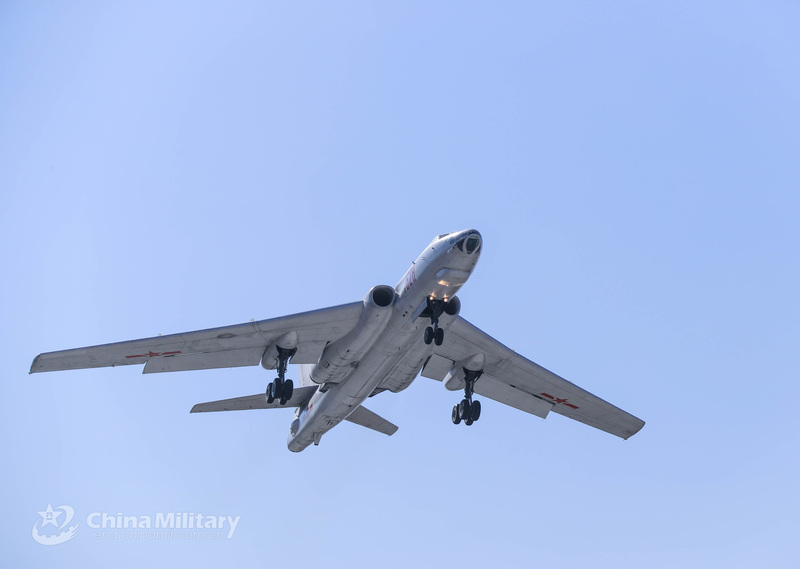 The latest image (January 2019) indicated that some H-6Ks have been upgraded with a new advanced IFF similar to American AN/APX-111(V) with blade antennas installed under its nose. N00813, Appix, SteelBird and 6 others like this. 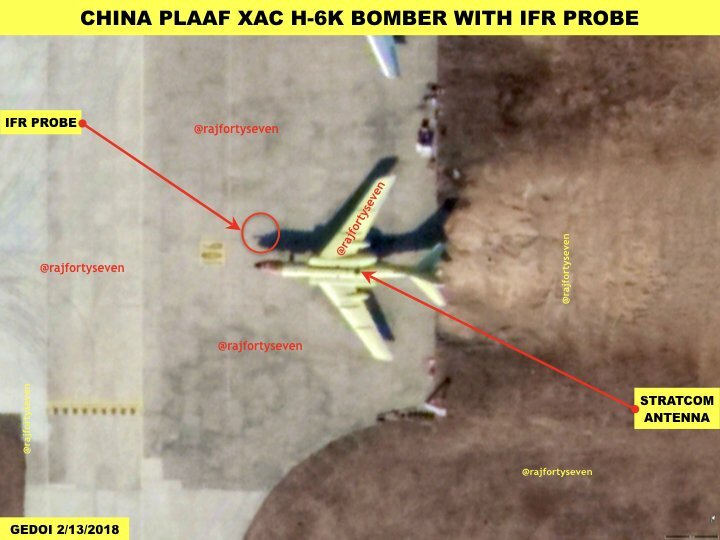 I'd rate the Chinese thermobaric as between the American MOAB and FOAB. Might be fun to call it "Mistress of all Bombs" or something silly like that. 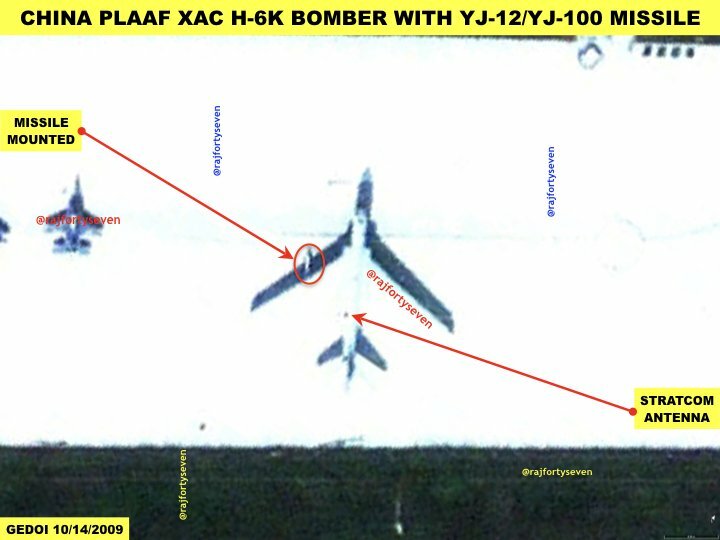 The capacity of the H-6K is about 9,000 kg, but if you look at the Russian FOAB, the Russian FOAB is apparently more efficient than the American MOAB, suggesting different bomb designs. 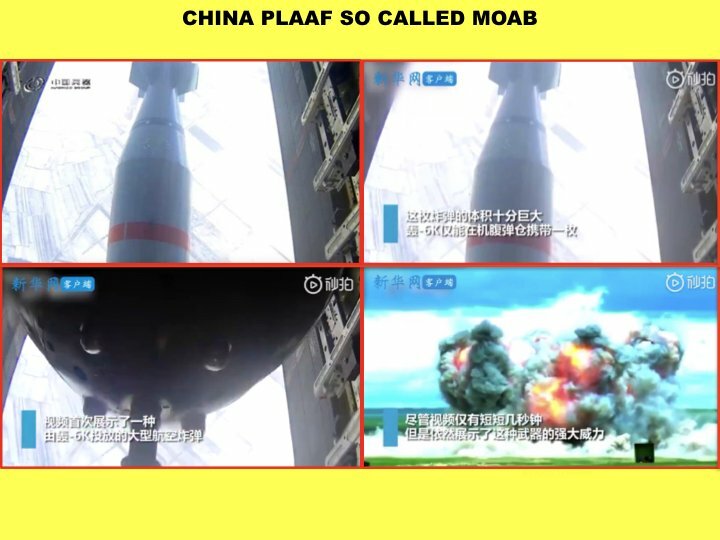 If you assume the Chinese use similar technologies, the bomb would weigh less than the MOAB, but be around the same power or be more powerful. 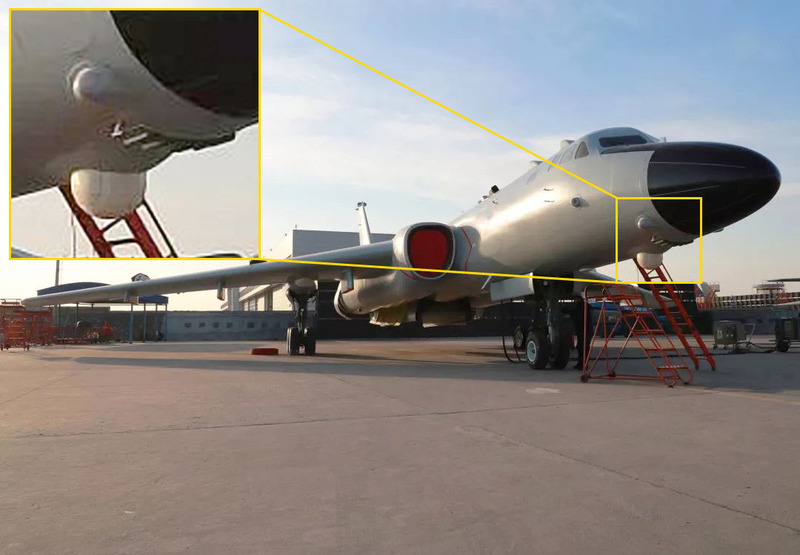 But since the FOAB is heavier than the likely size of the Chinese MioAB, the Chinese version should be somewhat less powerful. N00813, SteelBird, Equation and 4 others like this. 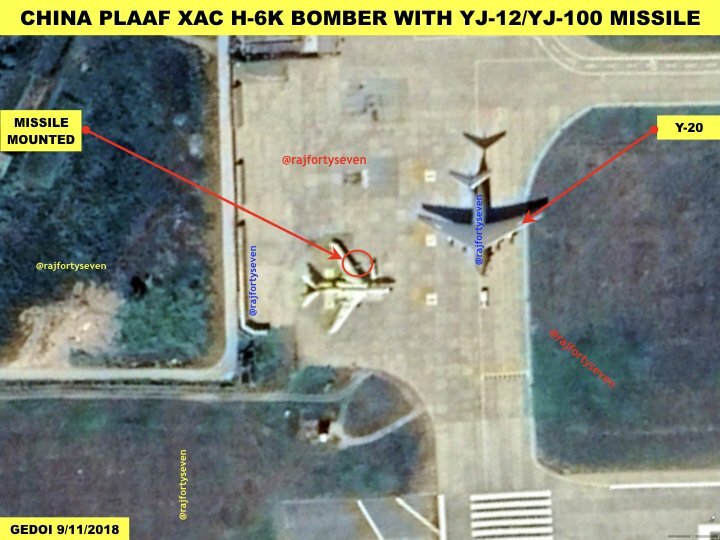 H-6G with 2x YJ-12. 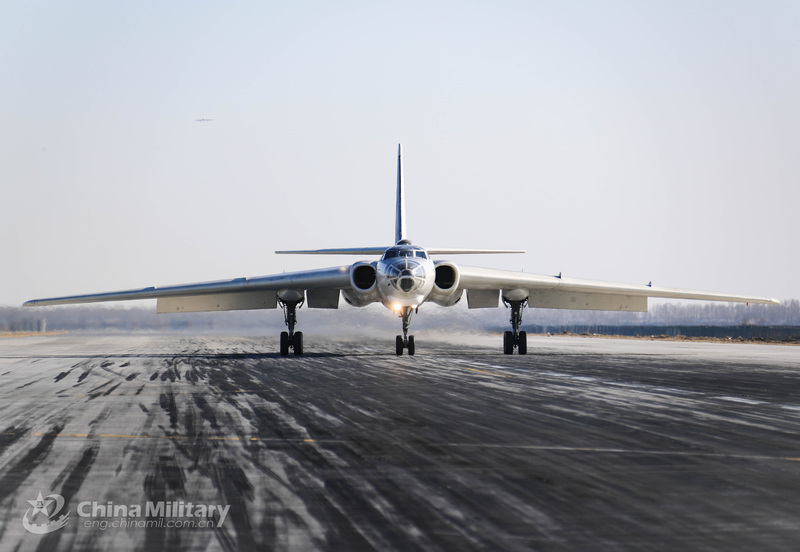 Now we need H-6J with 4x to 6x YJ-12. N00813, Appix, SteelBird and 5 others like this. 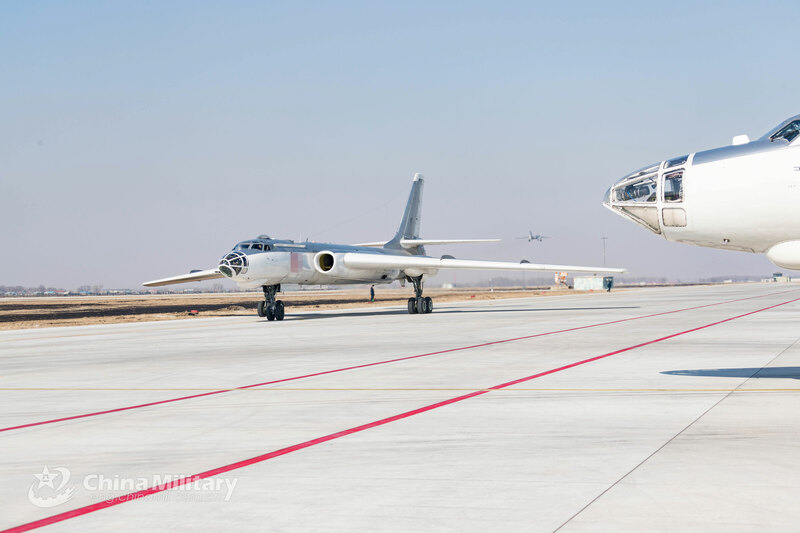 Are those jamming pods on the outer pylons? I would say yes, shape-wise they look like KG-800 pods. N00813, Appix, SteelBird and 7 others like this. Yodello and Neutral Zone like this. 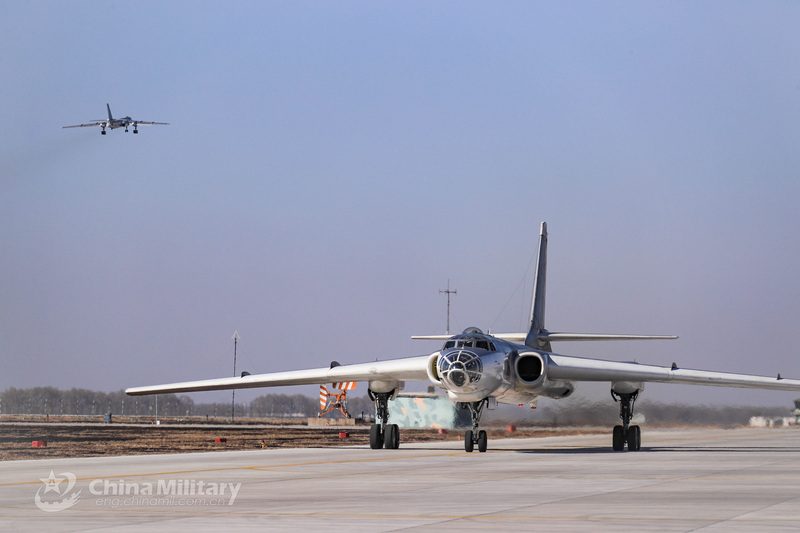 So far best image of a H-6G armed with two YJ-12 AShMs. N00813, SteelBird, AeroEngineer and 5 others like this. Josh Luo, Equation, N00813 and 5 others like this.